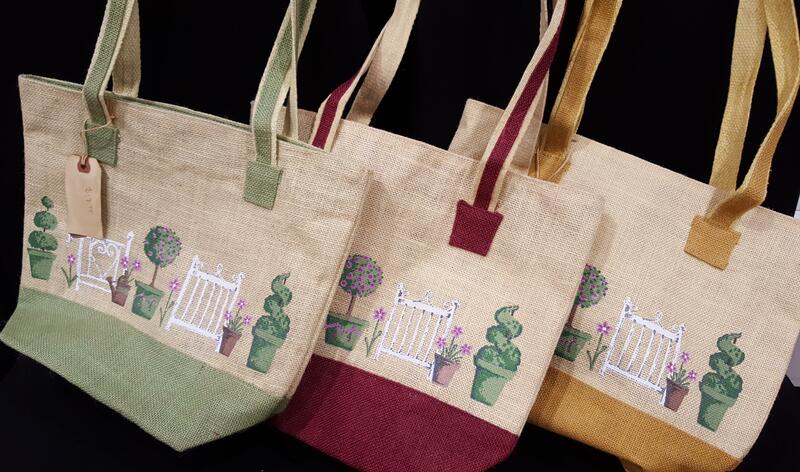 Tote Bag in Laminated Jute, with a rectangular base, a zip opening and stitched handles. The pretty design is printed on both sides. Pretty and practical. BYO bag! 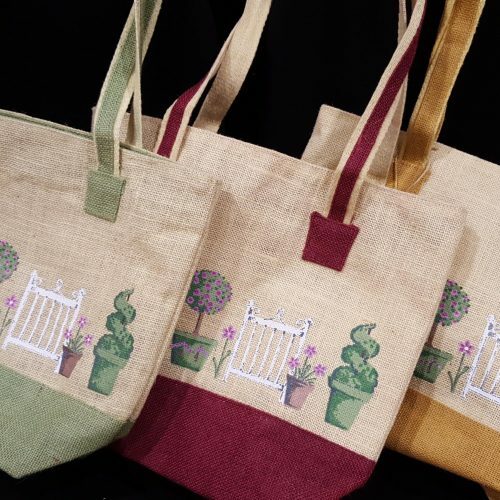 Choose from 3 colours: golden wheat, ripe plum or jade green. Please specify which colour in the Customer’s Notes.